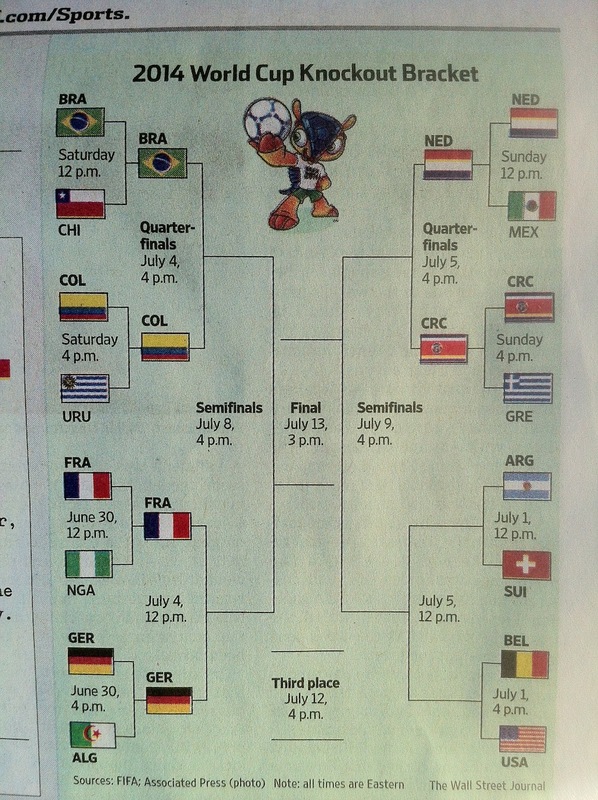 Here’s the newest knockout bracket from today’s WSJ. In related news, traffic around 4 PM EST today should be lighter than normal. EDIT: 3 PM for those of us in Texas. This entry was posted in News, Wall Street Journal by admin (Royce). Bookmark the permalink.